England and France were determined to colonize the early United States during the Great Age of Exploration. The two countries fought each other as they vied for the right to claim territories. They felt that they had “God’s Own Right” to claim land, and the indigenous populations stood in the way of their thirst for real estate. Their quest for power led to the eventual subjugation of the Native Americans. Tecumseh earned a place in history as a great warrior, orator and leader of intertribal councils. For the most part, Native Americans could not work together to form an alliance. They were too fragmented to band together to form a large army to fight against the invaders. Many of them tried to revolt against the occupiers – some more successfully than others. They resented occupation by the people they considered invaders – namely the French, the English, and the early United States settlers. Native American leaders staged revolts, battles and alliances to fight for their land. Chief Tecumseh led a famous battle against the United States troops. Chief Tecumseh (1768?-1813) was born in a Shawnee Indian village in present-day Ohio. From an early age he saw the devastation that white settlers brought to tribal lands. Tecumseh tried to form an alliance to form a war band of Native Americans in the Old Northwest, the South and the eastern Mississippi Valley. His plan failed when his brother was defeated at Tippecanoe in 1811. The Tippecanoe defeat marked the end of the Native American military movement. 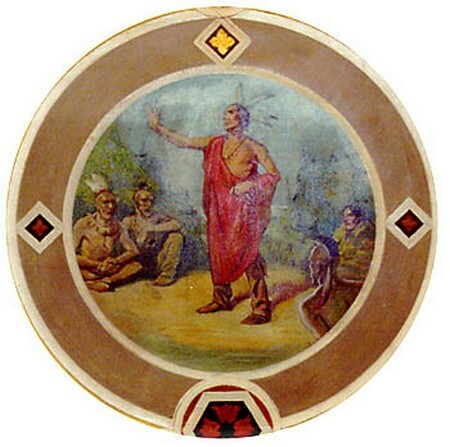 Tecumseh fought against the United States in the War of 1812 when he allied himself with the British. The British appointed Tecumseh brigadier general. 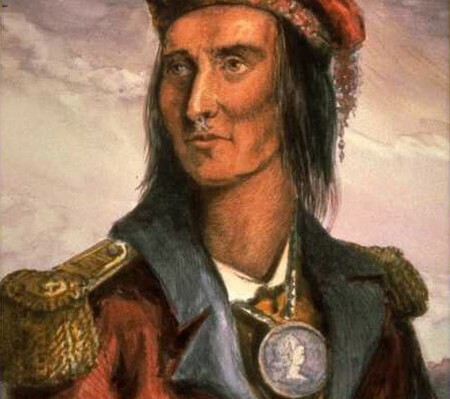 Tecumseh rallied other tribes to his cause and fought with British Gen. Henry Procter in his invasion of Ohio in 1813. They laid siege to Fort Meigs, and Tecumseh and his fighters intercepted and destroyed a Kentucky brigade sent to help the fort. Gen. Procter and Tecumseh suffered a crushing defeat at the Battle of Lake Erie in September 1813. Pursued by American troops led by future president William Harrison, they retreated to Canada. The British and Indian forces fought and were defeated at the Battle of the Thames River in October 1813. Tecumseh was killed during the fight. The defeat of the British-American force gave control of the western theater to the United States. Tecumseh’s death symbolized an end to Native American resistance east of the Mississippi River. The defeated, war-torn tribes were forced West.